Sometimes a brick wall just doesn’t come down easily, even for the professionals! Michele was born in Santa Maria Oliveto (Isernia) according to the family. When I eventually found the birth record, he was actually registered in Conca Casale but they had declared themselves residents of Santa Maria Oliveto. Michele was baptized in the Parrocchia of San Lorenzo Martire in Santa Maria Oliveto on the same day that the registration occurred at 6pm. The distance between the two towns is more than 18 kilometres by road today and I don’t see any footpaths across the countryside (mountains?) either. It would take at least 6 hours to travel that distance on foot, a little less with a horse and cart including the return journey they would have been gone most of the day so the mother, who had just given birth, had to go along too. The closest town is Pozzilli, why wouldn’t they have registered their child there? The two witnesses were also contadini from Santa Maria Oliveto. The priest (actually a monk) of the parish of Santa Maria Oliveto would not permit me to access the records ( I have come across this before, priests are not usually so restrictive) but agreed to look for the baptism. He not only found it, but photographed it, typed it out in Latin and then translated it into Italian and authenticated it! The baptism was performed in the presence of the midwife and the Godparents. Does this mean the parents were not present? It is not clear but it does say that that the parents are actually from the town of Roccaravindola. Almost 4 kilometres by road from Santa Maria Oliveto and in the opposite direction from Conca Casale. At the State Archives in Isernia I searched both Montaquila and Roccaravindola indexes to the birth records from 1820 to 1840 as the ages given on the birth registration indicated they were born around 1828. I found just a couple of births in Roccaravindola for the family but NOT Pasquale (Michele’s father), son of Antonio or any son of Antonio. There were a few more births for the mother’s family but NOT Tommasina or any other child born to a Domenico. In Montaquila neither surname existed. 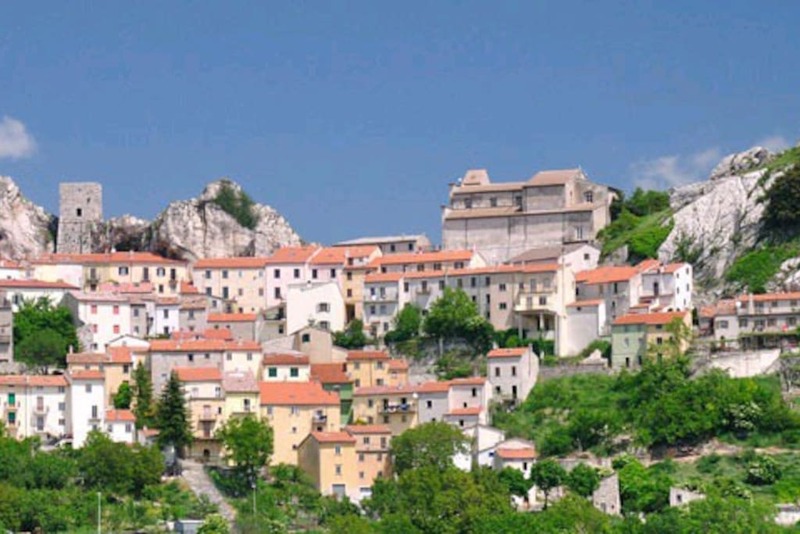 It doesn’t help that these towns were originally in Campobasso and now are in Isernia. Also, what were originally towns in their own right are now frazione of other towns. Currently Santa Maria Oliveto is a frazione of Pozzilli and Roccaravindola is a frazione of Montaquila. Up to 1811 Pozzilli was a frazione of Venafro and Santa Maria Oliveto was a possession of Montecassino and was passed to Pozzilli just before 1861. The records are all over the place. I remember the clerk telling me that he would have to go from Pozzilli to Santa Maria Oliveto to check if the birth registration was there. Next step is to find the death records of Michele’s parents in the hope they provide the town of birth. Since they were still alive in 1864 when Michele was born I am going to try the town of Pozzilli. Let’s hope they lived until after 1870 when record keeping became more consistent, and Santa Maria Oliveto was under the jurisdiction of Pozzilli! Fascinating piece of detective work there. Hoping you find the deaths or burials soon in Pozzilli – and update us! Records for Pozzilli up to 1899 are available at any Family History Centre until they are posted on line at http://www.antenati.it. If you need records after 1899 you will need to write to the town. Santa Maria Oliveto is difficult as the town used to be by itself but is now part of Pozzilli. If you need help with your search please contact us for a quote.